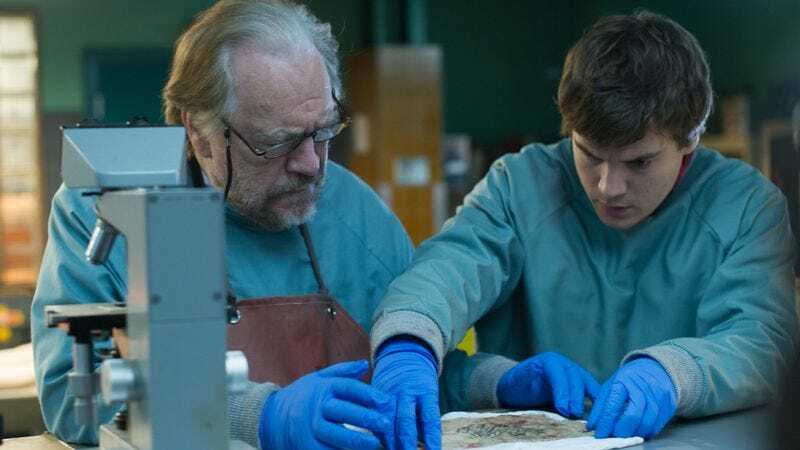 From director André Øvredal—who also wrote and directed 2010’s Trollhunter—The Autopsy Of Jane Doe features Brian Cox and Emile Hirsch as a father-son coroner team who are tasked with performing an autopsy on an unidentified woman who may have been murdered. As you might expect, nothing is really as it seems, and each incision the boys make creates more questions than answers. The A.V. Club has an exclusive clip from the film that is certainly not for the squeamish, featuring Olwen Kelly as the corpse. Jane Doe features wonderfully creepy set design and makes terrific use of color and lighting, giving the film a very distinct—and very stylish—look. But don’t worry, gorehounds, there’s plenty of icky gore as well. On top of all that, Cox and Hirsch turn in deft performances as the coroner father and his son, who may not want to stick with the family business. The Autopsy Of Jane Doe hits slabs around America on December 21.